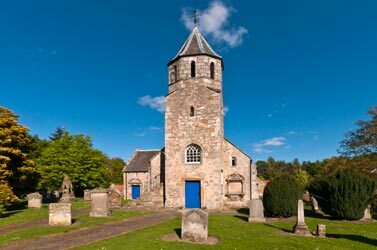 At Pencaitland Parish Church we have a small but enthusiastic Sunday Club which is open to children and young people of all ages. It is led by a team dedicated to demonstrating the teachings of the Bible and sharing the Christian message. The Sunday Club meets in the Carriage House after the first part of the morning service. Our main aim is not just to explore the Bible and other Christian topics, but also to have great fun while we do it. All of our wonderful young and not-so-young folk make a significant contribution to the life of our church and those of us who are engaged in teaching them, talking to them and just being in their company on a regular basis through Sunday Club consider it such a wonderful privilege to do so. We enthusiastically welcome anyone who wishes to come along and join us and hope you will feel totally at ease. We very much look forward to seeing you at some stage soon! A rather lively group of Secondary-age young people from Ormiston and Pencaitland meet on Sunday evenings in the Carriage House at 6.30pm. On the first of the month the venue changes to Ormiston for our evening services. There's usually a lot of fun and laughter. Evenings normally begin with games or other activities, followed by a more devotional focus of some kind. We also attend Powerpoint in Edinburgh whenever we can, joining in with hundreds of others from all over the city and beyond. This is a joint Youth Group with leaders from the two congregations.